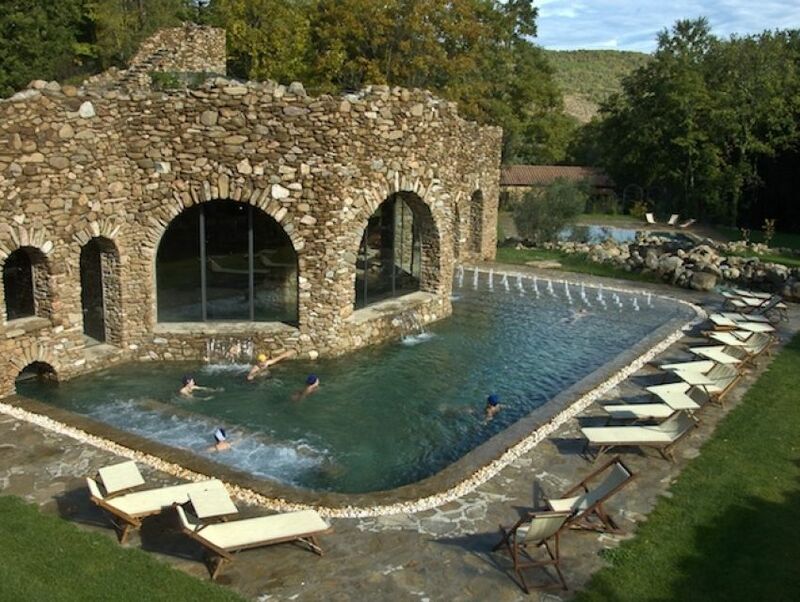 La Cerreta is located in the Tuscan Marenna, on the hills only 15 kilometers away from the sea. It is an ancient 70 hectare estate, where the bio dynamic agriculture is practiced: vineyards, olve trees, horses and cattle, gardens and fruit trees. 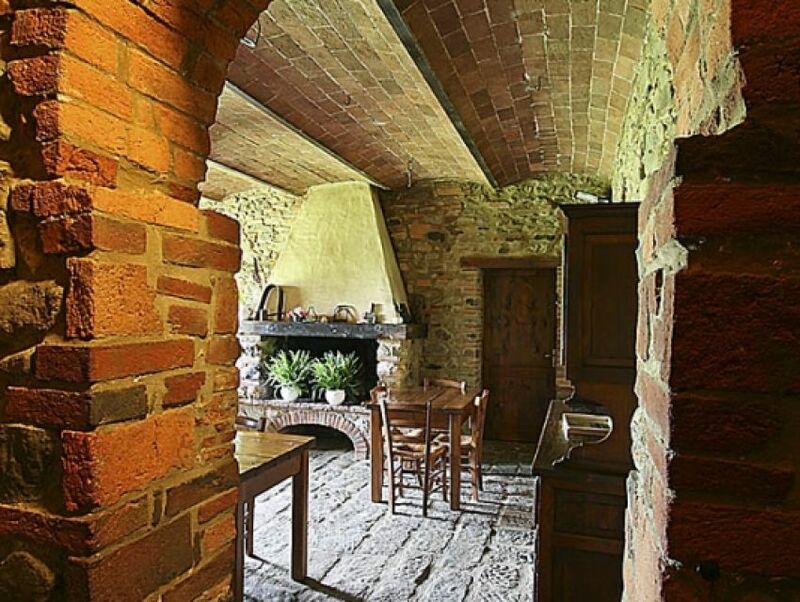 The property offers a true picture of the Maremma history: the agricultural productions, the gastronomy, the horse culture, as well as cultural and artistic excursions and activities. 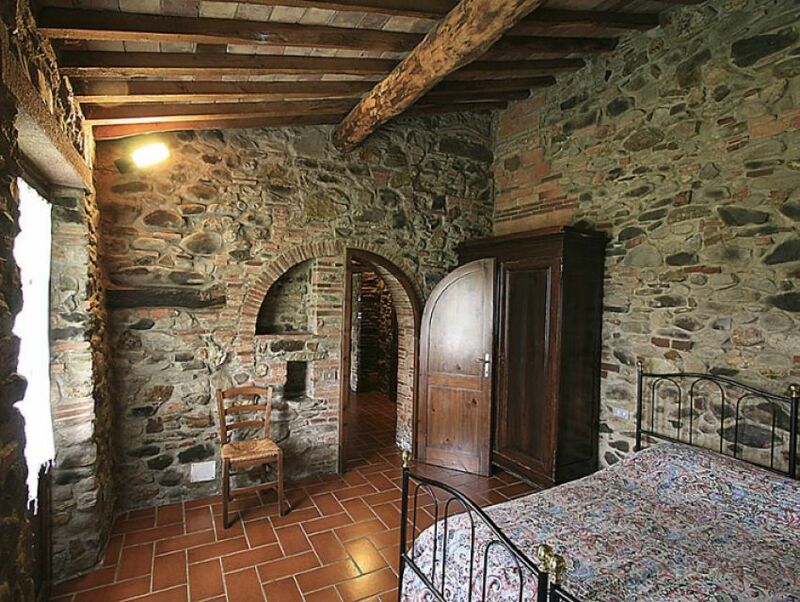 The property offers accommodation in restored stone rural apartments, completed with living rooms, in a simple and fascinating atmosphere. 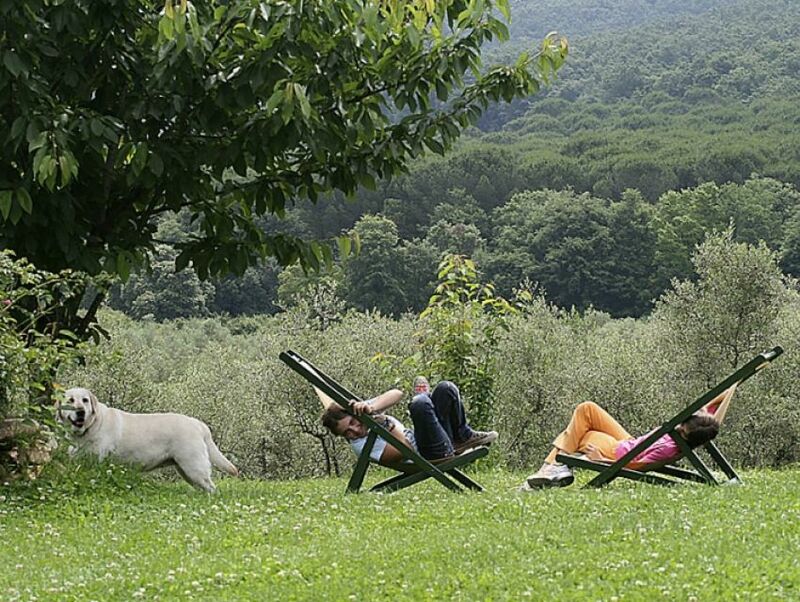 The farm house offers the option to experience a reality where man and nature live in harmony. The nature is alive and stimulating, with oak tree forests, mediterrenean bushes, chestnut trees, vineyards, oilve trees, porcupines, badgers, boars, cows and horses, chickens, lentiscus trees, helicrysium trees, roes, foxes, pigs, goats, rivers, officinal erbs, myrtus, eagles and buzzards. Twenty years ago the first apartments were restored in the respect of the original architecture, and living rooms and bedrooms were added. There are 11 rooms in total, all with batrooms, furnished simply by using old restored furniture. The living rooms completely built in stone, with a large fireplace, create a magic atmosphere. 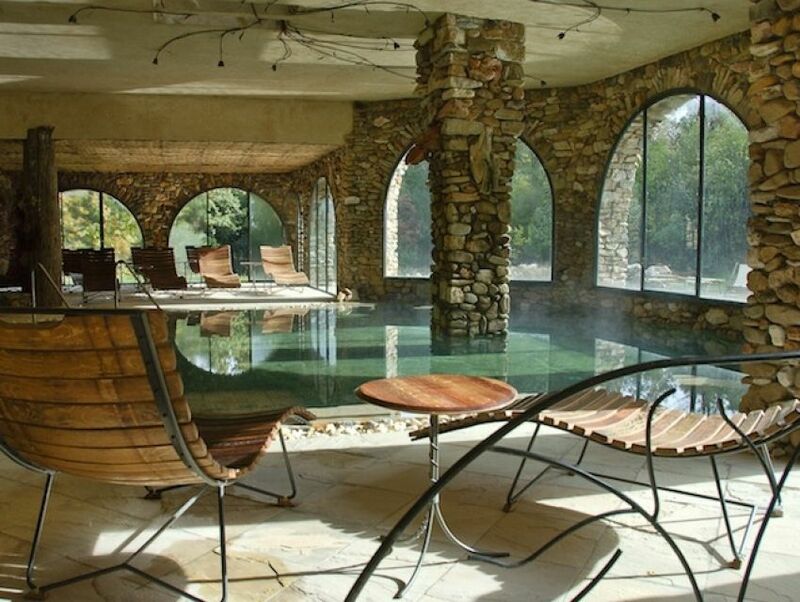 The property is surrounded by a large garden with thousand years old trees, flowers as well as a swimming pool. The gastronomy is inspired by the popular farm tradition and uses the bio dynamic agriculture products cultivated on location. The atmosphere offered is based on the idea that hospitality is first of all a feeling, more than the combination of conventional tourist proposals, and must create strong emotions and reactions. During their staying guests can participate to the company activities: garderning, fruit picking, jam and bread making, olive picking, honey making, grape harvest, chestnut picking, milking and cheese making, animal caring. At the farm house Maremma horses are bred: the horse harmony is a proposal of horse riding finalized to the reaching of a psycho-physical harmony between man and horse. Individual and group horse riding courses are offered to guests of all ages and levels of expertise, as well as excursions and day trips. The farm house is an ideal bases for excursions, walks and bike rides bringing the clients along interesting cultural as well as natural itineraries. Close to the property, guests can visit the Etruscan necropolis of Populonia, the archeo-minerary medivial Park Rocca di San Silvestro, the Etruscan town of Roselle, and important art cities such as Volterra, Massa Marittima, Lucca, Siena and Pisa. Excursions to the little medieval towns, rich in history and expression of the Tuscan life, are particularly interesting. A poca distanza dall'agriturismo Beaches and sea cliffs, as well as pine tree forests and sand dunes are very close to the property. On the coast guests will have the possibility of taking boat excursions to visit the islands of the Tuscan archipelago.